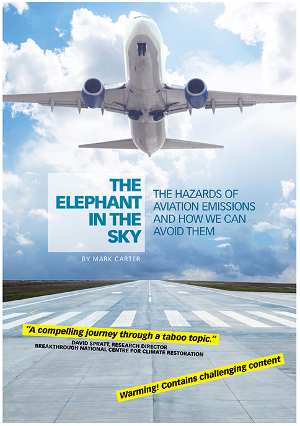 “This is a cynical attempt to deflect attention from the continued increase in Australia’s emissions” said Climate Action Moreland convenor John Englart. 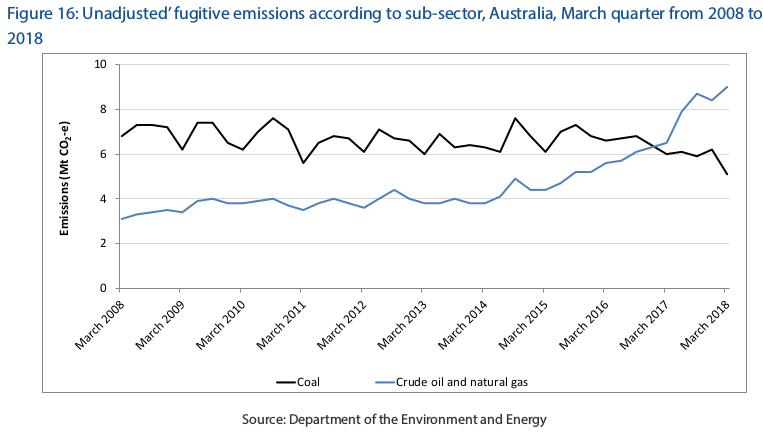 While the Electricity sector showed a modest decline, most sectors showed an increase in emissions. Fugitive emissions in particular showed a substantial increase of 13.7 percent, with this being attributed to the growth in the export of LNG. Transport emissions continued to rise with a 2.1 percent increase to March 2018. Stationary energy increased by 4.6 percent year on year to March 2018. 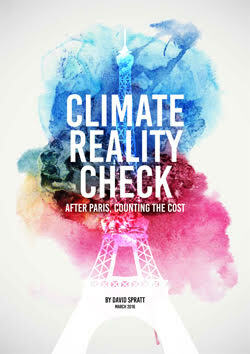 Climate Scientist Bill Hare, a director of Climate Analytics, told the Guardian, that Australia was still not on track to meet its Paris commitment to reduce emissions by between 26% and 28% by 2030 from its 2005 levels. 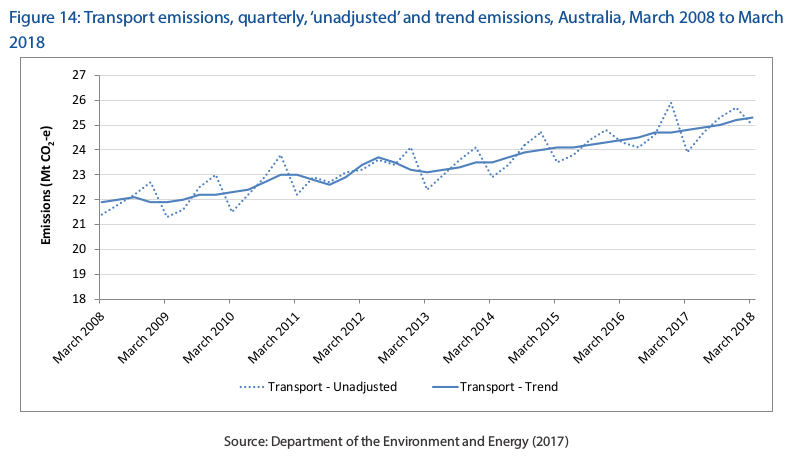 The report emphasises in the preface that Australia’s Emissions per capita and per dollar of real GDP are falling, although the trend graph shows that this decrease in both these measures appears to be levelling. Bill Hare commented that this trend should not be flattening, but accelerating. 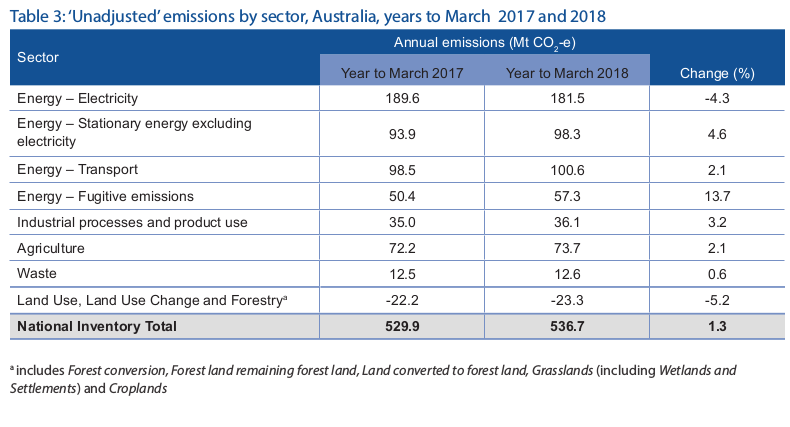 Australia’s targets and commitments to the global community are measured on total emissions reduction, which increased by 1.3 per cent in the year to March 2018. 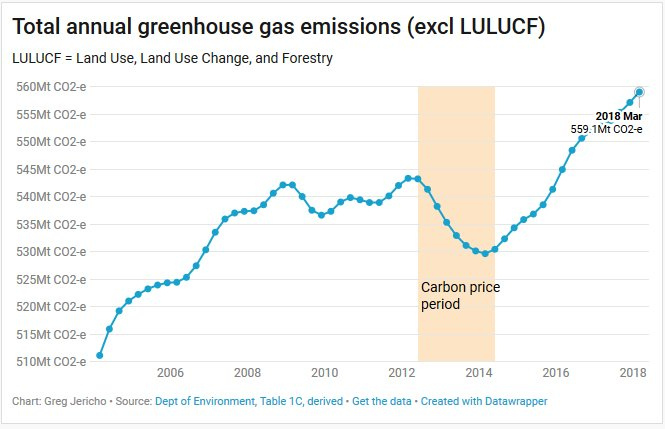 The govt just released the latest greenhouse gas emissions data. Late Friday, same day as RC report into the banks, and before the AFL and NRL grand finals. Entry filed under: climate change info, media release, news. Tags: AFL, Emissions, Footy, Melissa Price, NGGI, NRL.